Slice 3 bell peppers in half lengthwise. Remove seeds. Place peppers in a large pot of boiling water for just 3 minutes, then drain well, and let dry on paper towels. 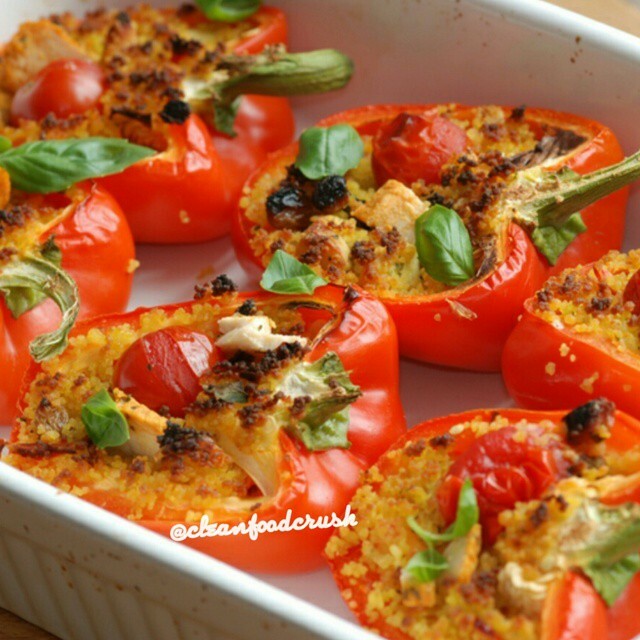 Place peppers in a glass 9×13 baking dish. In a large bowl combine all ingredients very well in a large glass bowl (besides peppers), scoop into prepared peppers. Bake at 375 for about 20 minutes until just heated through. Place peppers in a glass 9x13 baking dish.